Looking back at things I've enjoyed, and smashing them to pieces with the Snark-Hammer. Lover of games of every stripe and hue. NOT A REAL BIRD. 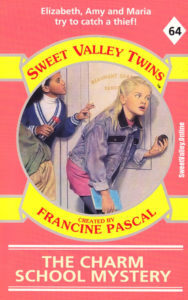 Wing, Raven and Dove talk about Sweet Valley Twins 52: Booster Boycott. 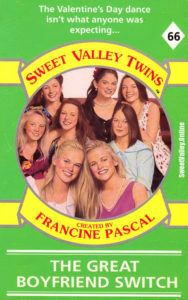 They also discuss Bleak Valley and how the book ties into this theory. 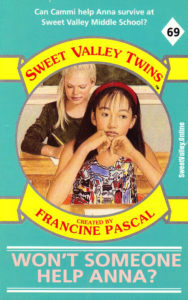 Wing, Raven and Dove talk about Sweet Valley Twins 51: Elizabeth the Impossible. They also discuss Bleak Valley and how the book ties into this theory. 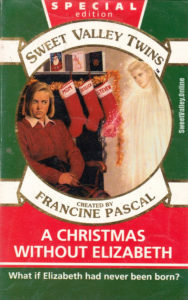 Wing, Raven and Dove talk about Sweet Valley Twins 49: Jessica and the Secret Star. They also discuss Bleak Valley and how the book ties into this theory. 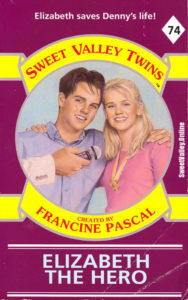 Wing, Raven and Dove talk about Sweet Valley Twins 49: The Twins' Little Sister. 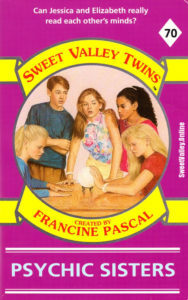 They also discuss Bleak Valley and how the book ties into this theory.